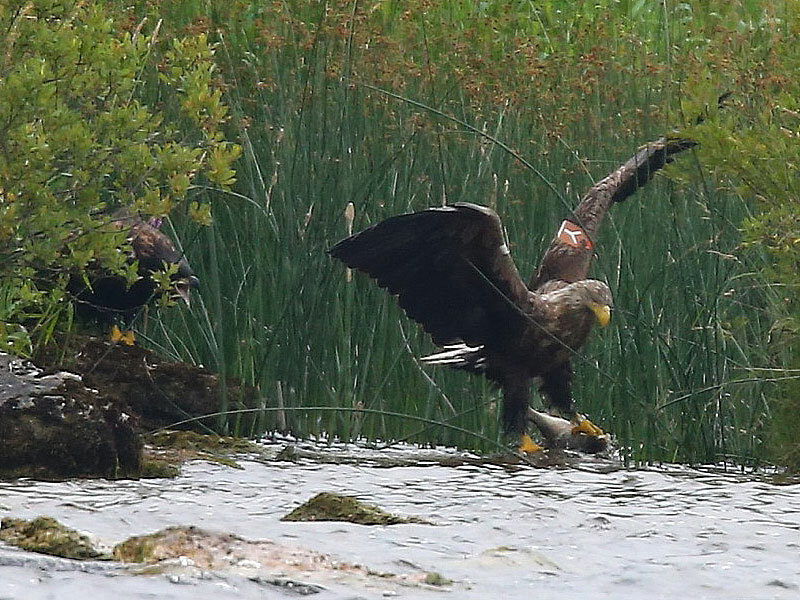 Two White-tailed Eagles have successfully fledged in Ireland for the first time in over 110 years. In the last week the two birds were seen away from the nest and yesterday both chicks were seen flying near the nest on Lough Derg, near Mountshannon, Co Clare. This pair also created history in 2012 when they nested for the first time. It is another significant milestone in the long arduous effort of restoring these magnificent birds to Ireland’s wetlands and coastline. These are the first Irish born chicks of the high profile reintroduction programme, which began in 2007 with the release of young Norwegian eagles in Killarney National Park. 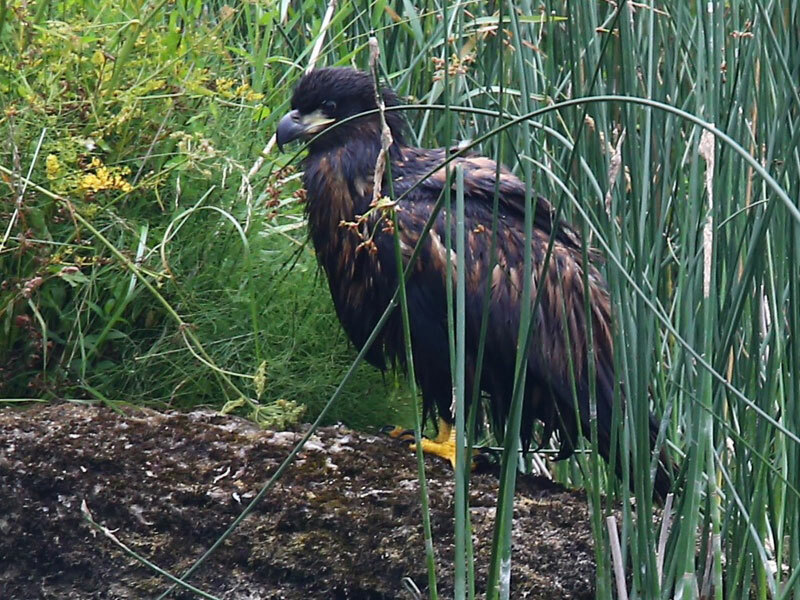 The White-tailed Eagle reintroduction programme is managed by the Golden Eagle Trust in partnership with, and funded by, the National Parks and Wildlife Service of the Department of Arts, Heritage and the Gaeltacht. 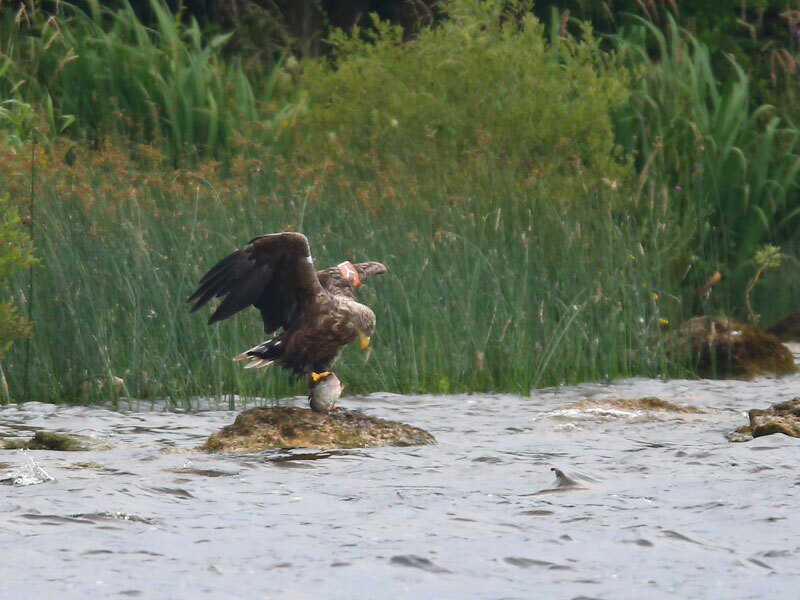 Over the coming years, we expect more of the 10 territorial pairs of White-tailed Eagles monitored and located this spring, between Cork and Galway, to nest, lay eggs and hopefully rear young. Other maturing birds, released in recent years are also likely to augment the breeding population over time. It is hoped that in time these Irish bred chicks, from Lough Derg, will survive and breed themselves in 2017 or thereafter.